Check out the intolerant Left in action. The particularly Leftist was kicked off a plane for her actions. Frankly, she lucky that all that got kicked. Below the video is what the person filming the video, the actually victim of this Leftist had to say on Facebook. It was evident that this woman was looking for a fight. Keep in mind that Leftist constantly accuse us of doing what they do. What’s most striking to me about this is Conservatives were long overdue to celebrate. These Leftist morons had become so used to winning, they simply couldn’t fathom losing. So to know that we won really irks them. I would have unzipped my pants and TEA-BAGGED that hag, so she got lucky. Though honestly in retrospect, me tea-bagging her would have been a reward for her, and I likely would have regretted having turned her on so vigorously. In the end, the flight attendants had seen enough. If she had threatened to throw up on me, it would have been on like a chicken bone. 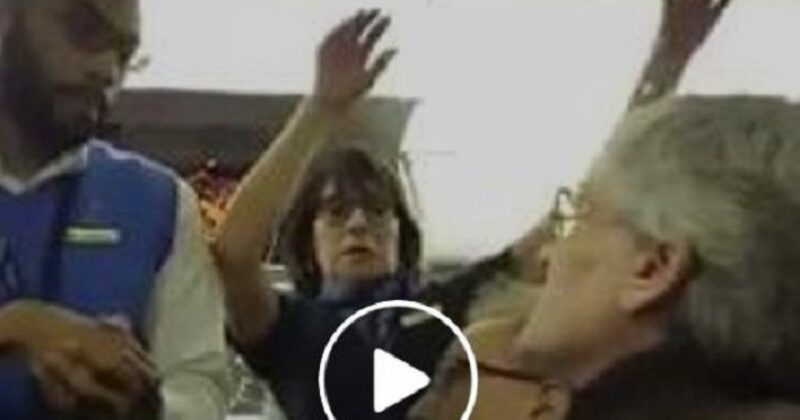 The video below is a grainy version of the woman being escorted off the plane. These are small victories, but these stories need to be told.